Paul was born about 10AD and was named Saul by his Jewish parents. Some time after he came to the Lord, he was called Paul which is a Greek name. 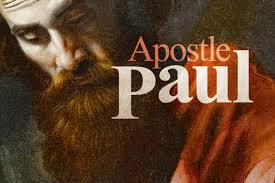 ‘Saul, who is also called Paul was filled with the Holy Spirit’ (Acts 13:9). It was very common in those days for people to be known by two or even three names according to the languages spoken in Israel at that time which were Hebrew, Greek and Latin.